For millinery fashion, see Draped turban. Manmohan Singh, the former Prime Minister of India, wearing a Sikh turban. The turban is one of the most recognized symbols of the Sikh community. A turban (from Persian دولبند‌, dulband; via Middle French turbant) is a type of headwear based on cloth winding. Featuring many variations, it is worn as customary headwear primarily by men. Communities with prominent turban-wearing traditions can be found in the Indian Subcontinent, Afghanistan, South Asia, the Arabian Peninsula, the Middle East, the Near East, Central Asia, North Africa, the Horn of Africa, the Sahel, and parts of the Swahili Coast. Wearing turbans is common among Sikhs, including women, who refer to it as a Dastar. In certain other faith communities, the headgear also serves as a religious observance, including among Shia Muslims, who regard turban-wearing as Sunnah Mu'akkadah (confirmed tradition). Greeks, in ancient times, wore a distinctive style of turbans. The origins of turbans are uncertain. 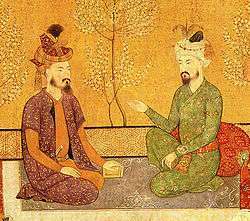 Early Persians in modern Iran and Phrygians in modern Turkey wore a conical cap (Phrygian cap) encircled by bands of cloth, which historians have suggested was developed to become the modern turban, but other theories suggest it was first widely worn in Egypt. An early attestation for knowledge of the turban is found in the Roman author Ovid's Metamorphoses, dating to the 1st century BC. Ovid recounts the myth that Midas king of the Phrygians, an Indo-European people of central Turkey, wore a royal purple turban to cover his donkey ears. 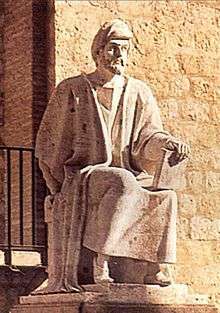 A style of turban called a phakeolis continued to be worn in that region by soldiers of the Byzantine army in the period 400–600, as well as by Byzantine civilians as depicted in Greek frescoes from the 10th century in the province of Cappadocia in modern Turkey, where it was still worn by their Greek-speaking descendants in the early 20th century. The Islamic prophet, Muhammad, who lived 570–632, is believed to have worn a turban in white, the most holy colour. Many Muslim men choose to wear green, because it represents paradise, especially among followers of Sufism. In parts of North Africa, where blue is common, the shade of a turban can signify the tribe of the wearer. Contemporary turbans come in many shapes, sizes and colours. Turban wearers in North Africa, the Horn of Africa, the Middle East, Central Asia, South Asia (including Sikh), and Philippines (Sulu) usually wind it anew for each wearing, using long strips of cloth. The cloth is usually under five meters in length. Some elaborate South Asian turbans may also be permanently formed and sewn to a foundation. Turbans can be very large or quite modest depending upon region, culture, and religion. Turbans are part of the national dress in Afghanistan. They are used more widely here than elsewhere in the Muslim world, and are worn in a wide range of styles and colours. In the country's south-east, turbans are wrapped loosely and largely, whereas in Kabul the garment tends to be smaller and tighter. In traditional Afghan society, a related piece of extra cloth called a patu serves practical purposes, such as for wrapping oneself against the cold, to sit on, to tie up an animal or to carry water in the cap. Different ethnic groups in Afghanistan wear different lungees with different patterns, way of styling it, fabric, stripes, lengths and colouration. Some styles are, however, nationwide. The styles extend and overlap into western Pakistan. In Greece, specifically the island of Crete, the men traditionally wear a turban known as a sariki. The headwrap's name is borrowed from sarık, the Turkish word for turban. Today, it may be more commonly known as a kritiko mandili (Cretan kerchief). It is not found commonly amongst the younger generation, but mostly worn by older men in remoter, mountainous villages. It is traditionally black, the color of mourning, but can also be found in white, for festive occasions such as weddings. It is very commonly found as a part of the standard Cretan costume worn by members of Greek dance groups. A similar head garment is also worn in various parts of Cyprus, and can be seen in various Cypriot shows depicting traditional Cypriot society, e.g. the comedy Aigia Fuxia. Fijian chiefs and priests were known to have worn masi (barkcloth) coverings around their head similar to a turban, called an i-sala. However, most of the bulk and shape of the i-sala came from the bushy hair under the cloth. On some Babuyan islands (Philippines) the head of the household wears a white turban, the younger males wear a red turban after their 13th birthday. The 3 chiefs all wear yellow turbans. It no longer has religious significance and the origin dates back to the end of the Tondo era (cira 900s - 1589) Most Babuyan settlers fled the Philippines in 1589 when Spain began to invade the Philippines. The turban was made from a type of bark cloth but now is made from cotton or silk brought over from the Philippines mainland. 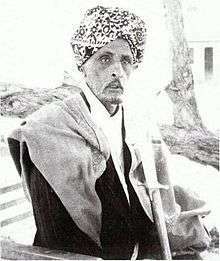 The turban style head dress is then cut and wrapped around the head, then tucked in front. While it is true that Armenia is the first Christian country, much of its traditions and cultures reflect Middle Eastern origins. Because of that, men sometimes wear turbans, often bearded on any occasions, but they are usually worn for celebrations and festivals as part of their national costumes. However, before Armenia became a Christian nation, its people actually do used to wear turbans as their daily clothing, just like all other Middle Eastern countries do. 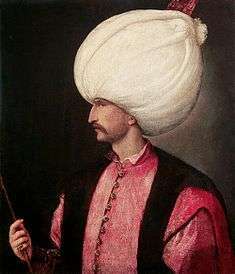 The men of many Islamic cultures wear or wore a turban-style headdress, often in emulation of Muhammad, who is believed to have worn a black or white turban. In Islam, the turban is a Sunnah Mu'akkadah (Confirmed Tradition). Head wraps that men wear are called several names and worn in different ways depending on the sect of Islam, region and culture. Examples include (Arabic: عمامة‎‎ `emãmah) in Arabic, (Persian: دستار‎‎) in Persian. 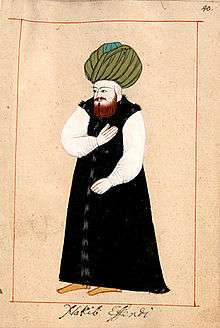 In Shi'a Islam, a black head wrap around a small white cap is worn by descendants of Muhammad called Sayyids, and white turbans by other well-educated persons and scholars. In Sudan, large white headdresses connote high social status. Other sects of Muslims would wear a green head wrap around a small white cap or just the white cap alone. In Pakistan the cap is called a topi. Women of Islam do not wear turbans, as it is considered part of a man's dress, while women cover their hair with a hijab. 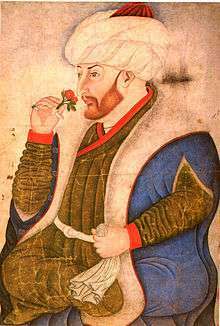 In the Ottoman Empire, Muhammad's numerous descendants formed a kind of nobility with the privilege of carrying green turbans. 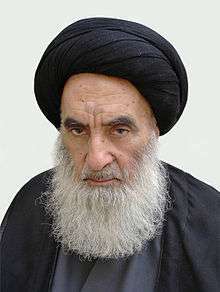 Al-Sayyed Ali al-Sistani, the spiritual leader of Many of Shia Muslims wearing a black turban. The Hebrew word mitznefet (מִצְנֶפֶת) has been translated as "mitre" (KJV) or "headdress". It was most likely a "turban", as the word comes from the root "to wrap". In the Hebrew Bible, the turban worn by the High Priest was much larger than the head coverings of the priests and wound so that it formed a broad, flat-topped turban, resembling the blossom of a flower. The head covering of the priests was different, being wound so that it formed a cone-shaped turban, called a migbahat. The priestly crown (Hebrew tzitz צִיץ "blossom" "flower") was attached to the turban by means of two sets of blue cords: one going over the top of the head and the other around the sides of the head at the level of the ears (Exodus 39:31). 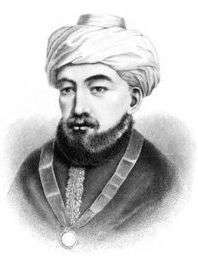 The Jews who lived under Arab rule during the Middle Ages, notably in Islamic Spain wore turbans and headwear not too different from their Muslim counterparts. Members of the Bobo Shanti mansion of the Rastafari movement keep their hair and beards, mainly keeping their hair in dreadlocks, they have been wearing turbans over their dreadlocks protecting and keeping their dreadlocks clean, along with wearing robes since their founding in the 1950s, being a small population it makes them more distinctive in appearance in Jamaica and elsewhere. Sikh young man wearing Patiala Shahi Turban. The Sikh turban, known as the Dastar or a Dumalla or a "Pagg" cultural name, the turban is used to show others that they represent the embodiment of Sikh teachings, the love of the Guru and dogma to do good deeds, the turban also protects Sikh's long unshorn hair and keep hair clean. The turban is mandatory for all members of Khalsa (Initiated Sikhs) to wear. 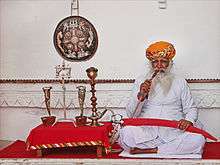 The Rajastani turban is also commonly called the pagari (in the West, many Sikhs who wear pagri are sometimes mistaken for Muslims or Arabs.). Akali Turban Cotton over a wicker frame, Steel overlaid with gold. Lahore. Mid-19th century. "A tall conical turban provided convenient transportation for a number of sharp steel quoits - edged weapons hurled to lethal effect by the practised hand of the Akalis." All Sikh Gurus since Guru Nanak have worn turbans. However, covering one's hair with a turban was made an official policy by Guru Gobind Singh, the tenth Guru of the Sikhs. The main reasons to wear turban are to take care of the hair, promote equality, and preserve the Sikh identity. Sikh women may wear a turban if they wish. The most common turban colors worn by Sikhs are blue, white and black, although other colors are very popular as well. Orange and yellow are particularly prestigious and tend to be worn on religious events such as Vaisakhi. 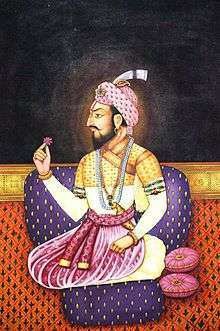 Meanings of the turbans are that the white turban means a saintly person leading an exemplary life. The blue turban signifies a mind a broad as the sky with no place for prejudice. The black turban is a reminder of the British persecution of the Sikhs in 1919, and represents humility. The orange turban is representative of courage, and wisdom. Royal blue is usually worn who are those who are learned the Sikh religion. 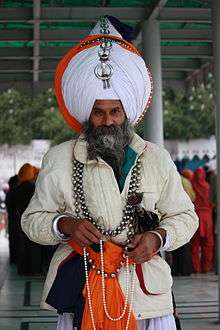 Akali Nihang Sikhs decorate their turbans or Dumalla by wearing small weapons known as shastars in them. The turban's color may reflect association with a particular group of Sikhs, although none of the popular turban colors are exclusive to any particular group. Turban colors are generally a matter of personal choice in Sikhism, with many Sikh men choosing colors based on fashion or taste, sometimes to match clothes. There are traditions associated with some colours, for instance orange and black are often worn at political protest rallies whilst red and pink turbans are worn at weddings and other celebratory events. ↑ "History and information on turbans". Retrieved 2016-12-03. ↑ Inter Islam. "The turban, topee and kurta - in the light of Ahadith and the practice of our pious predecessors". inter-islam.org. Retrieved 2014-02-10. 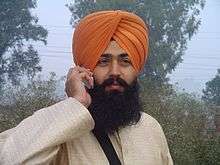 ↑ "SeekersGuidance - Can Anyone Wear a Turban? Are There Styles Specific for Scholars? – Answers". seekersguidance.org. Retrieved 2014-02-10. ↑ "BBC - Religions - Rastafari: Bobo Shanti". ↑ "Why are turbans of different colours? - Quora". www.quora.com. Retrieved 2016-07-18. 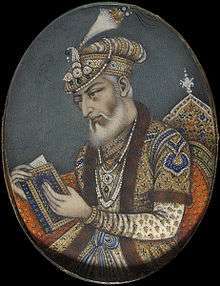 Wikimedia Commons has media related to Turbans.